ECCP Supports Philippine Nickel Industry Association via "Nickel Initiative 2019: Shaping Tomorrow Together"
The Philippine Nickel Industry Association (PNIA) held a press conference for the media launch of its “Nickel Initiative 2019: Shaping Tomorrow, Together” last 30 January 2019. In attendance were the PNIA officer and board members headed by Chairman Mr. Isidro Alcantara Jr., Chairman Emeritus Mr. Clarence Pimentel Jr., PNIA President Atty. Dante Bravo; ECCP Executive Director Mr. Florian Gottein; and eVAP President Mr. Edmund Araga. The PNIA, ECCP, and eVAP aim to forge closer ties and share their common advocacies in the areas of responsible and sustainable natural resources development, building investment opportunities, and improving the Philippine export performance. The event, “Nickel Initiative 2019: Shaping Tomorrow, Together”, will be held on March 18-19 at Shangri-La The Fort. This is the first conference of its kind that puts the nickel industry at the forefront, bringing together representatives from the mineral, infrastructure, and e-vehicle, industries; government, academe, and think-tank, among many others. Local and international speakers have been invited to share their expertise on topics that are crucial to the nickel industry. Also part of the program is a welcome reception, workshops, exhibits, and roundtable discussions that will cater to the audience, from students to professionals. The conference aims to serve as a platform for key stakeholders to create economic opportunities and investments; enhance cooperation and collaboration with each other; promote the Philippine nickel industry and show its potential to compete not only locally but at a global level; and discuss the future of the Philippine nickel industry. The ECCP shares similar advocacies and supports the initiatives that promote the use of European technology and best practices of natural resources development. The ECCP also talked about its membership of more than 700 local and foreign companies, events, and partnerships with business organizations and industry associations from varying industries. As the largest European chamber in the country, the ECCP maintains that it will continue its efforts to help create a constructive and productive dialogue between the government and the private sector. 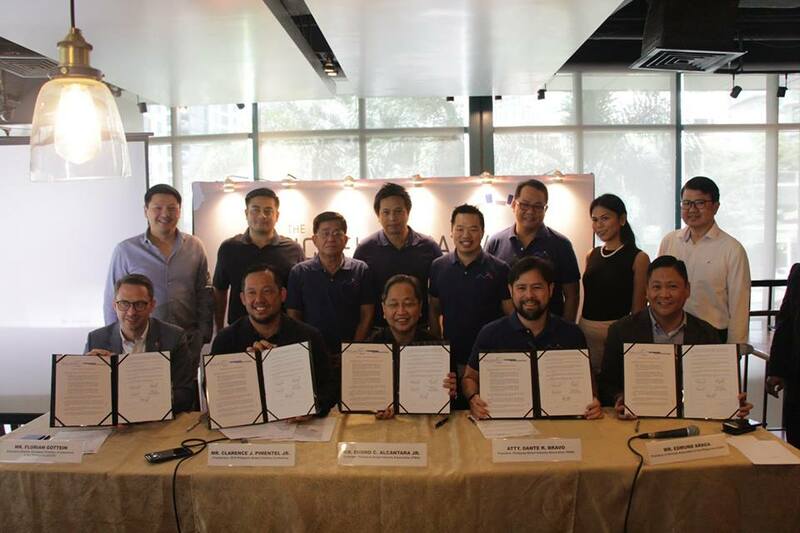 The Press Conference ended with all partners signing contracts to signify the beginning of the project and their closer collaboration moving forward.